If you’re looking for a natural remedy for colon cleansing, I’m about to offer you seventeen of them. One of the best ways to lead a healthy life is by doing a colon cleanse once in a while. The colon is a critical part of our digestive system. It is responsible for extracting water and salts from the solid wastes before they are expelled, eliminating the toxins from our body. It is also done to maintain the electrolyte balance. Colon cleansing can boost the immune system, it helps in losing weight, improves mental ability, it reduces the risk of colon cancer. If your colon is not functioning properly, it may lead to the clinging of wastes and toxins along its walls. It will lead to a significant number of problems, namely constipation, headache, joint pain, weight gain, vomiting, low energy level, fatigue, diarrhea, indigestion, vision problems, skin allergies, stress, etc. 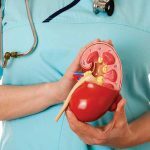 In the long term if not proper care is taken, then it can result in the main ailments like gall bladder stones, asthma, heart problems, kidney and liver diseases, skin allergies, etc. Colon Cleansing is the process of cleaning the colon by removing these trapped wastes and toxins. 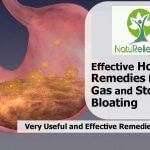 There are medicines available for colon cleansing and some non-surgical treatments such as enemas, but these can be unpleasant or inconvenient – so a natural remedy for colon cleansing is preferred. Strengthens the overall body health. A natural remedy for colon cleaning is easy and harmless and easily done at home. So here are some valuable home based remedies for colon cleansing. Water is the magic potion for the body. It is crucial to drink at least 8 – 10 glass of water daily. It will keep your body hydrated. 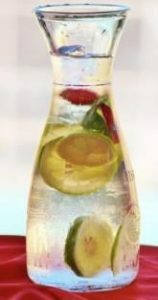 Water is essential for every part of the body and so is from the colon.Take a glass of warm water when you wake up in the morning.It is better to have it with some lime juice and honey. It helps in proper bowel movement. It also detoxifies the body and boosts metabolism. Water stimulates the natural peristaltic action that helps the colon to start functioning in a healthy manner. Drinking water regularly throughout the day will also give the body required lubrication to flush out toxins and wastes from the body naturally. In addition to water, fresh juices also keep your body hydrated. Apple juice is almost the perfect natural remedy for colon cleansing. It improves bowel movement. It works as a support to healthy liver function and digestive system as a whole. The juice breaks down the toxins. Starting your day with a glass of apple juice is bliss for your body. 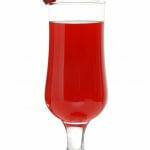 It is better if the juice is made up of fresh apples rather than from a prepackaged carton. 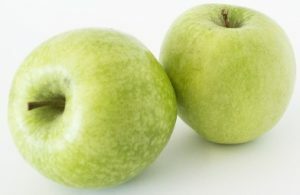 Just take some few fresh apples and take out its juice using a juicer or a blender. Don’ t filter it. Drink this juice and after 30 minutes drink a glass of water. Apple juice can be taken 2- 3times during the day. If you are bored of apple juice, you can have lemon or prune juice in between. For some variety in taste, you can also add lemon juice in apple juice. You will find it a very effective natural remedy for colon cleansing. If fresh apple juice is not available, organic juice can also work. Only eating apples can also be beneficial. A 2 to 3 days exclusively apple diet can also help in colon cleansing. During this process, you can eat any form of an apple. It can be peeled, sliced, boiled, chilled anything. But you should stick to an apple diet only. Apple should be chewed properly and have them with lots of water. Do not try this diet too often. This can only be done once every two months. Consult your doctor before going on this diet. It is a very rigorous process, therefore, consultation with a physician is recommended. 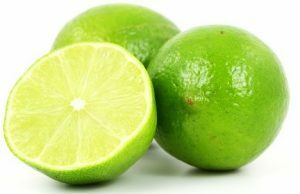 Lemon is high in vitamin C. It also has antioxidant properties. It helps in the proper functioning of the digestive system. Lemon juice with a pinch of sea salt and a teaspoon of honey should be taken with warm water in the morning. It helps in a regular bowel movement. It keeps the skin healthy and glowing. The juice keeps the body energetic. It can be taken with apple juice. Add a teaspoon of lemon juice in apple juice and have it 2 to 3 times a day. It helps clean the colon correctly and thin out the mucus in your bowel. Add a teaspoon of lemon juice in apple juice and have it 2 to 3 times a day. It helps clean the colon correctly and thin out the mucus in your bowel. Fiber rich food also helps in colon cleaning. It helps in removing harmful toxins from the body. It improves the bowel movement and helps in treating all intestinal problems. Fiber rich food in your daily diet like fresh fruits and fresh vegetables, namely raspberries, pears, apples, artichokes, peas, broccoli, etc. can be added. Cereals, nuts, whole grains, beans, and seeds are also rich in fiber. Avoiding cooked food and sticking to raw vegetables for a day or two can help in cleaning the colon correctly. Raw vegetables assist in removing toxins and wastes from the body. They are rich in vitamins, minerals, enzymes and amino acids. This helps in properly breaking down the food. 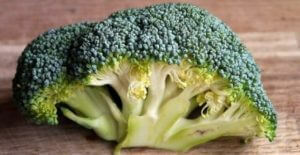 You should take raw vegetables like carrot, cucumber, cabbage, broccoli, parsley, beetroot, tomatoes, spinach, etc. A combination of these can also be taken. You can extract the juice making a mixture in a blender. This can be taken several times during the day. Fresh vegetables will be better than taking ready made juices. This juice works efficiently to remove harmful toxins and wastes from the colon. Aloe Vera is well known for its detoxification and laxative properties which are very beneficial for the skin. These features also make it appropriate for colon cleansing. Apart from helping in cleaning the colon, it has many other useful properties that assist in treating constipation, skin allergies, diarrhea, headache and gastric pain. Take an Aloe Vera leaf, cut it from the middle vertically. Take out its pulp in a blender and add lemon juice into it. After blending refrigerate the mixture for two to three hours. Take this juice several times during the day. Repeat this regularly to clean your colon. 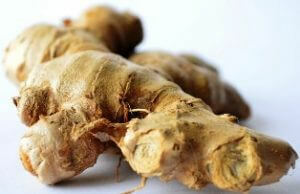 Ginger helps in reducing bloating and simulates the functionality of the colon. It keeps it free from toxins and wastes. If you are facing problem in your colon, take a teaspoon of ginger juice, add honey and water to it. Drink this mixture 2-3 times a day. It should be continued until you get relief from your problem. Ginger in tea also helps in colon cleansing. Ginger can also be taken in other forms like in candy, mashed or juice, etc.It is not recommended for pregnant ladies and breastfeeding women. Flaxseeds are rich in omega three fatty acids. 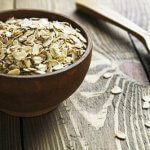 It is also rich in natural fibers and antioxidants. The seeds absorb water expanding in the colon. It assists in removing toxins and mucus as it passes through. Ground flaxseeds and add a tablespoon of it in a glass of water. Mix it well and take it two times in a day, 30 minutes before breakfast and 30 minutes before you go to bed. It can also be added to cereals, yogurt or salads get relief from the problem. It also helps to prevent diabetes, heart ailments and cancer. Yogurt is a source of probiotics and healthy bacteria. It contributes to getting rid of harmful bacteria. Also, it contains calcium. It prevents the growth of cells lining of the colon. Yogurt helps the digestive system to function properly. 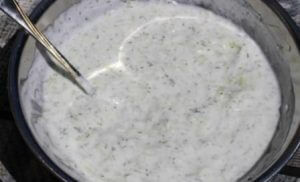 Problems like indigestion and irregular bowel movement can also be treated with yogurt. Yogurt can be consumed as it is or some fruits can be added to it. It should be taken 2- 3 times a day to cleanse your colon. Triphala is a combination of three fruits. It is rich in vitamin C, bioflavonoid, and phospholipids. It has laxatives that help in the elimination of toxins and promotes bowel movement. 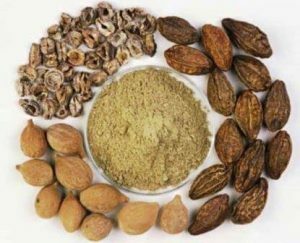 Triphala is readily available in Ayurvedic stores. It can be taken by adding a teaspoon of it in water and drinking. You should take it regularly to get relief from the problem. Sea Salt is a very effective natural remedy for colon cleansing. It helps in improving bowel movement. It also removes toxins, bacteria, and parasites from the digestive system. Boil a glass of water and add a pinch of sea salt to it while it is boiling. After it cools down a bit, drink it while it is still warm. After drinking, lie down and rub your stomach downwards. It will remove toxins from the colon. Have lots of water after this throughout the day as you may feel the need for bowel movement several times during the day. Therefore, it is important to keep your body hydrated. Don’t have heavy meals during the day.It is not recommended for people suffering from heart ailments and blood pressure. Senna acts as a laxative. It is a flowering plant whose pods and leaves contains anthraquinones. They are powerful colon stimulants. It relieves from constipation and helps regulate the bowel movement. It increases the peristaltic circulation of the colon. Senna is available in the form of tablets and capsules that can be taken directly. You can also buy tea bags containing Senna. You can also use crushed Senna herb for tea. Add a cup of boiled water and pour it into the herb. Allow the water to absorb the herb for 10 minutes. Strain it, and then have it. It is paramount to strain the tea. 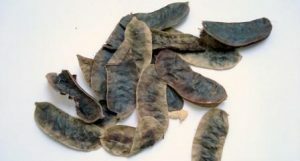 The resin of Senna can cause abdominal cramping. Bentonite and Psyllium Husk has a highly absorbing substance. It absorbs and binds the toxins in the intestine and then passes through the feces. It acts as a lubricant for easy elimination. Take a glass and add a teaspoon of bentonite clay powder with psyllium husk. Add some water or juice into it. Gulp it before it starts to thicken. Keep drinking water throughout the day. Do not eat any heavy meals during this process. Stick to a light diet schedule. Cayenne Pepper and lemon help in breaking down the mucus in the colon and eliminating toxins. 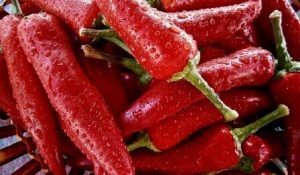 Half tablespoon of pepper should be added to a glass of water. Add some freshly squeezed lemon juice into it. Put some maple syrup to make the mixture sweet. Drink this juice empty stomach. This should be taken five times in a month. If pepper causes a burning sensation in the stomach, eat a tablespoon of honey for every 15 minutes until it stops. Isabagol is awesome herb to cleanse your colon without any side effects. Isabgol absorbs harmful toxins from your colon and flushes it out of your body. Avacados are good in digestion. It is rich in fiber. It absorbs water and bind it with other digestive substances. 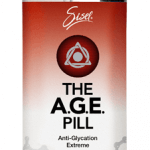 Thus, helps in the proper movement in the digestive tract and regulates bowel movements. Green vegetables are rich in cholorophyll. Thereafter, it promotes proper digestion. Spinach, Brussels sprouts, green olives, cabbage, asparagus, celery, sea vegetables, collard greens, leeks, peas, and Swiss chard are the food that can be favorable. So if you’re looking for a natural remedy for colon cleansing, you now have a great selection of natural products to choose from. Try combining a few of your favorites and watch your health and general sense of wellbeing and alertness improve.